When it comes time to retire in Georgia, many people just look North to the Georgia Mountains, a short distance from Atlanta. You are still in your home state and can easily visit the metro Atlanta area to visit friends or attractions. Also you can get to know the new area where you will be living full time even before your move by making frequent visits to get to know the area. We have two sets of friends who have done just that. 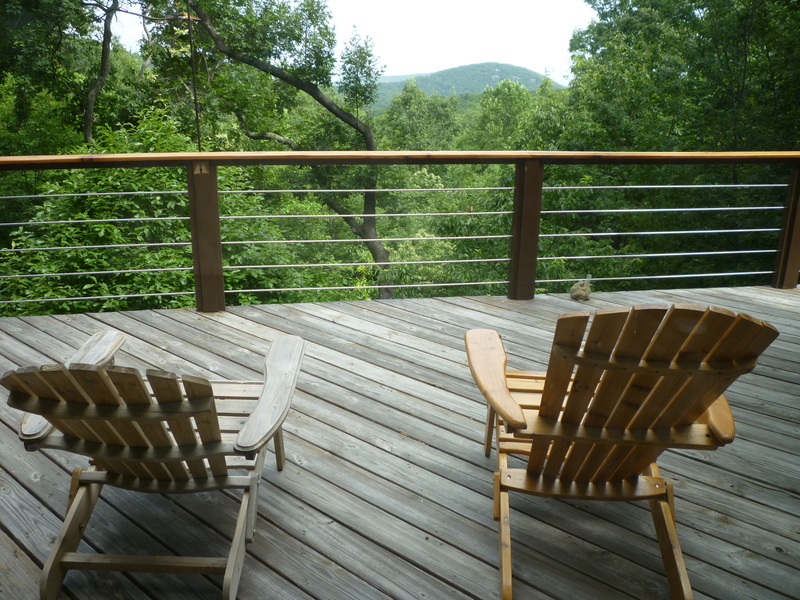 Tina and David bought a foreclosure in Big Canoe, a wonderful mountain community about one hour north of Atlanta. David does home renovations so it has been perfect for them to fix it up and even thought they have been working hard on the house for almost a year, I think they really enjoy going up to the mountains and enjoying as well as working. We went up on July 4th to see the fireworks at their mountain home and fell in love with the place. They are not planning on moving there full time just yet, but are up there just about every week. There are many 55+ communities in Georgia but most are on the edge of Atlanta and not that far up in North Georgia. The other couple, our friends Jim and Jean retired to the North Georgia Mountains. Knowing they would like to move to the North part of the state, Jim got a transfer to the Gainesville office a few years before his retirement date. 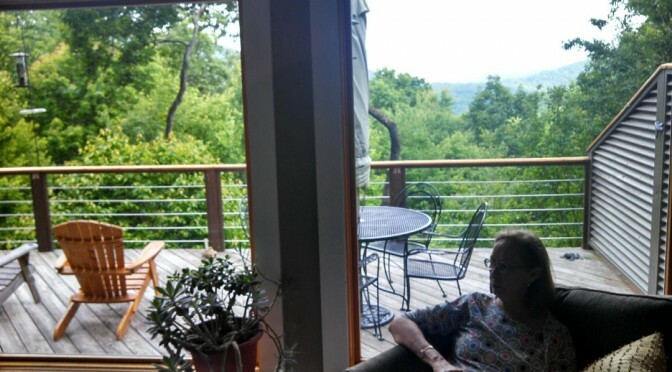 This put them in a perfect situation to go ahead and move up to Banks County Georgia, where they built a perfect retirement home with screen porch overlooking a stream on five areas. This worked out so good Jim even delayed his retirement since he almost felt he was retired. This transition to a new area by relocating his job worked out for the best. Jim and Jean visit us in Alpharetta or we just meet in Gainesville for dinner, half way for each for us. Really it is not harder to get together with them now than it was when they lived in DeKalb County in the metro Atlanta area. They both like living in the North GA mountains even though there are some inconveniences. Jean says the water supply line has broken many times to their home and the head of the water department just keeps making repairs rather than run new lines that are needed. Jean says he has a “small town mind” about things and just looks at people like them as complaining “wealthy people from Atlanta”, which she says they are not. However building a barn and getting a horse, chopping your own firewood from your property and just listening to the crickets perform a symphony from your swing on your screened in porch makes in all worth it. Jim and Jean knew what they wanted and went for it. I know I and others who envy them. As an update to this post, Mary Ann and I retired to Northeast Georgia area in Braselton and love living in the Del Webb Over 55 Community there. We are close to Gainesville and Buford.